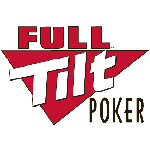 Full Tilt Poker has updated their tournament offerings to include a new tournament & two poker games based on player feedback. 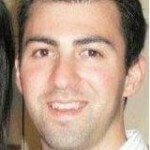 One of the notable additions is a new tournament format called Escalator. They also added a brand new poker game called Irish Poker & added a old favorite 5-Card Stud. Escalator Tournaments are completely different from traditional tournaments as the duration of the blind levels will gradually change as the game processes along. For example the blinds might begin set at 15/30 for five minutes, with the 20/40 level lasting for six minutes, the 25/50 level lasting for seven minutes, and each subsequent blind level lasting for one minute longer than its predecessor. In additional to Escalator Tournaments, FTP has rolled out 5-Card Stud & Irish Poker tables. 5-Card Stud is one of the oldest poker games with players receiving a total of five cards during the hand. Irish Poker is a variant of Texas Hold’em with players being death four hold cards instead of the traditional two that you see with Texas Hold’em. Irish Poker also requires players to discard two of the four cards they were dealt after the flop round of betting takes place. Only time will tell if these new additions to the Full Tilt Poker line up take off or if they will be removed due to lack of interest from players.